How to watch The Jungle Book (2016) on Netflix Singapore! Sorry, The Jungle Book is not available on Singaporean Netflix, but you can unlock it right now in Singapore and start watching! With a few simple steps you can change your Netflix region to a country like Panama and start watching Panamanian Netflix, which includes The Jungle Book. We'll keep checking Netflix Singapore for The Jungle Book, and this page will be updated with any changes. 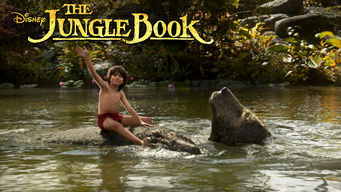 The Jungle Book is not available in Singapore BUT it can be unlocked and viewed! Mowgli, who's been raised in the jungle by wolves, leaves home on an adventure guided by black panther Bagheera and friendly bear Baloo. A bumbling bear and a shrewd panther make terrific pals when you're a curious little boy in a most dangerous jungle. There is a way to watch The Jungle Book in Singapore, even though it isn't currently available on Netflix locally. What you need is a system that lets you change your Netflix country. With a few simple steps you can be watching The Jungle Book and thousands of other titles!